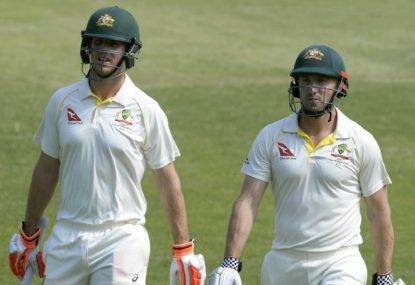 England’s batting frailties against high pace were exposed during their recent home summer and shape as a major weakness in the Ashes against Australia’s express quicks Mitchell Starc and Pat Cummins. During their seven home Tests this northern summer, England were rattled repeatedly by the pace of South African duo Morne Morkel and Kagiso Rabada, and West Indian speedster Shannon Gabriel. Worryingly for England, Starc and Cummins are consistently quicker than any of those three bowlers. The same way Australia’s batsmen have been exposed when the ball moves off the pitch or through the air, England’s tend to look vulnerable against genuine pace. Morkel was the joint man-of-the-series in the four-Test battle against England, while Rabada grabbed 16 wickets from just three matches. Both men regularly bowled above 140kmh in that series, pushing up into the high 140s at times. Gabriel, meanwhile, helped engineer one of the biggest upsets in recent history in the second Test against England when he grabbed six wickets. Bowling at up to 150kmh in that match, the burly quick dismissed England mainstays Joe Root, Alastair Cook, Ben Stokes and Jonny Bairstow, as well as new opener Mark Stoneman. Gabriel’s intimidating spell on the first day of that Test allowed the Windies to roll England for a well-below-par total of 258 before earning a 169-run first innings lead. Earlier in the summer, it was Rabada and Morkel who unsettled the English batsman with their pace and bounce. Of Morkel’s 19 wickets for the series, 14 were recognised batsmen, underlining just what a threat he posed to England’s batting line-up. He consistently troubled Cook, dismissing him three times, more than any other bowler in the series. Rabada, meanwhile, did well with the old ball against England’s strong middle order, enjoying success against Stokes and Moeen Ali. South Africa’s bowlers did a fine job in that series but were let down by their batsmen, who frequently collapsed. 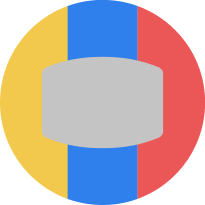 Only two England batsmen averaged 40 or better in that series – Root and Bairstow – with Ashes tourists Cook (average of 33), Dawid Malan (9) and Gary Ballance (21) all underperforming. England laboured against pace despite the fact none of these seven home matches were played on a pitch as hard or fast as the Gabba is likely to be for the first Test next week. It was there four years ago that England’s batsmen were bullied into submission by Mitchell Johnson and Ryan Harris, a boys-against-men battle which set the tone for the visitors’ 5-0 capitulation. That England batting line-up was far more talented and greatly more experienced than the one which has just arrived in Australia. Yet they looked mentally shot after that vicious pace assault at the Gabba. England’s batsmen will face a similarly hostile welcome next week, with the happenings during the first Test likely to reverberate through the rest of the series. 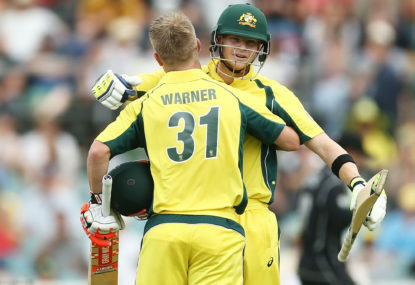 If England can withstand Australia’s initial onslaught and emerge from this match without having been pushed around by the Aussie quicks, they will be in good shape to compete strongly across the whole series. 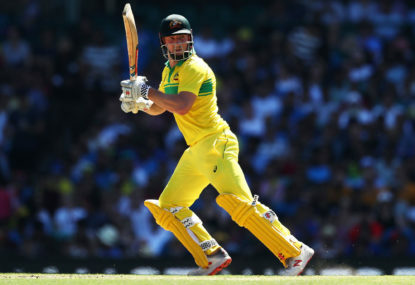 Alternatively, should their batsmen be roughed up at Brisbane, it will be very difficult for them to regain their composure against a dynamic Australian attack with its tail up. Fortunately, for England, the hosts do not boast any bowler as terrifying as Johnson in his pomp, but they will have taken notice of Starc running amok in the Shield and Cummins bouncing out the Indian batsmen on a dead Ranchi pitch earlier this year. 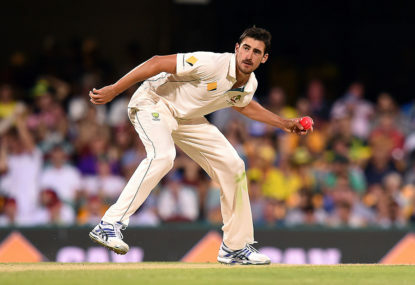 Starc has returned from injury in frighteningly-good form, hoarding 17 wickets from two Sheffield Shield matches, including two hat-tricks in one match against WA. Test cricket’s fastest bowler looks refreshed, strong and determined after spending six months on the sidelines with a foot fracture. His trademark yorker from around the wicket reaped him a clutch of wickets across those two Shield matches. While Starc will be trying to break England’s toes, Cummins will be the one threatening to rattle their helmets. Since Johnson retired, Cummins has owned the best bouncer in world cricket. 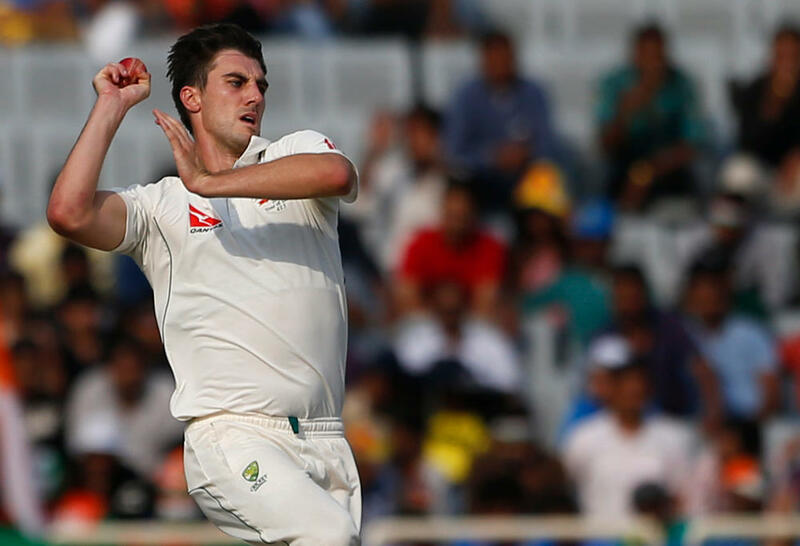 Like Johnson, Cummins’ short ball clearly is not easy for batsmen to read – even in the Ranchi Test, on the slowest of surfaces, he was able to shock well-set Indian batsmen. As India ran up 9-603 on a road, Cummins bounced out Ajinkya Rahane, KL Rahul and Ravi Ashwin. 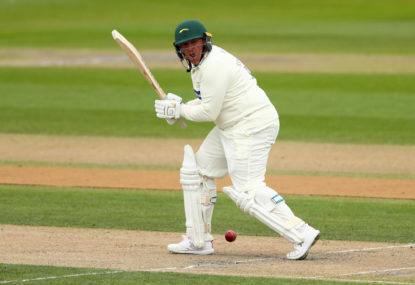 Cummins’ unique ability to unsettle batsmen with bouncers was evident from his debut Test when, as an 18-year-old, he had Proteas superstars Jacques Kallis, Hashim Amla and AB de Villiers all in a tangle trying to play his searing short balls. He dismissed all three of those champions in that Test en route to seven wickets and a man-of-the-match award. The manner in which he roughed up Kallis in the second innings was particularly extraordinary. With a succession of nasty short balls, he succeeded in prompting Kallis to hang back in the crease. Then he threw one up much fuller and wider, catching Kallis flat-footed on the crease as he fed the slips cordon. 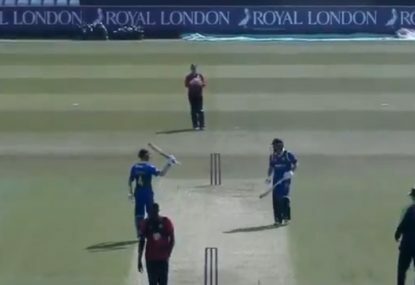 Cummins did exactly the same thing to Indian superstar Virat Kohli in the Ranchi Test. This is the great value of possessing a scary short ball – it helps you earn wickets from your fuller deliveries. Johnson demonstrated this brilliantly during his all-time-great Ashes series four years ago. The current England side is even more vulnerable to high pace bowling than the one which was whitewashed back then. Starc and Cummins will be well aware of that.